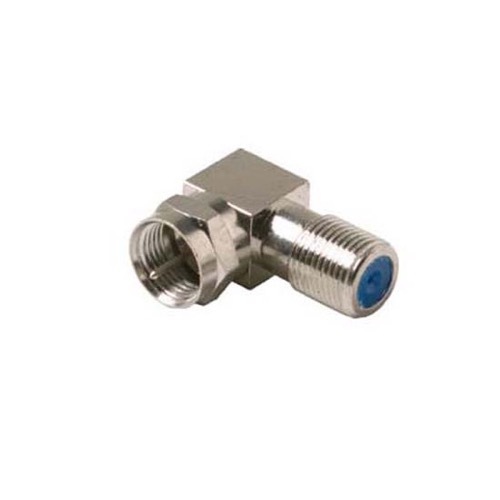 High Frequency Right Angle F Connector!!! Right Angle Male to Female high frequency f coax connector. Prevents cable from crimping in short radius area. Nickel plated for increased corrosion protection. Provides for proper RF and digital interface.